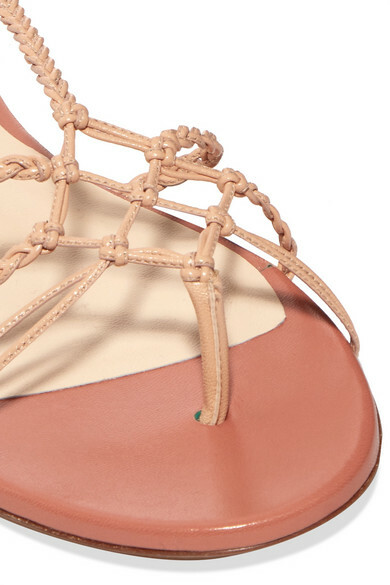 Francesco Russo's sandals have been crafted in Italy from supple leather. They're set on a slight heel that's perfect for wearing all day long and finished with ankle ties, so you can find your perfect fit. Wear yours with everything from dresses to denim. Shown here with: Jacquemus Dress, BY FAR Shoulder bag, Chloé Earrings.